The Search and Rescue Unit is responsible for search and rescue functions, assists in major events, maintains the fleet of specialty vehicles, conducts CDL training for the department, and provides logistical help to other divisions and agencies. * Washoe County Search & Rescue, Inc. The combined membership for all the search and rescue teams is approximately 400 volunteers. These members come from all walks of life and donate their time to learn first aid, CPR, survival techniques, search, technical rescue, dive rescue, rope rescue, and other disciplines to be able to assist lost and/or injured persons. Washoe County Search and Rescue, Inc. is perhaps the largest of the volunteer units. 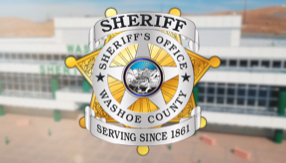 Since 1965, this private, non profit organization has gathered and trained for the sole purpose of serving the Washoe County Sheriff by providing the equipment and the manpower to conduct searches and rescues. While several of the units may be utilized in unison on any search mission, this unit is one of the first to be called into service. The men and women of Washoe County Search and Rescue, Inc. specialize in ground searches, land navigation, urban searches, the use of snowshoes and avalanche probes, extended off-road searches, and natural disasters. Members of the unit are on call 24 hours a day and are expected to respond immediately when called. Members can anticipate being called upon for numerous missions every year. Ninety-six percent (the national average) of all searches are resolved during the first eight hours, but some may last a week or more. For more detailed information about the specialized groups, recent rescues, calendar of events, etc., please visit their website at http://www.washoesar.org.